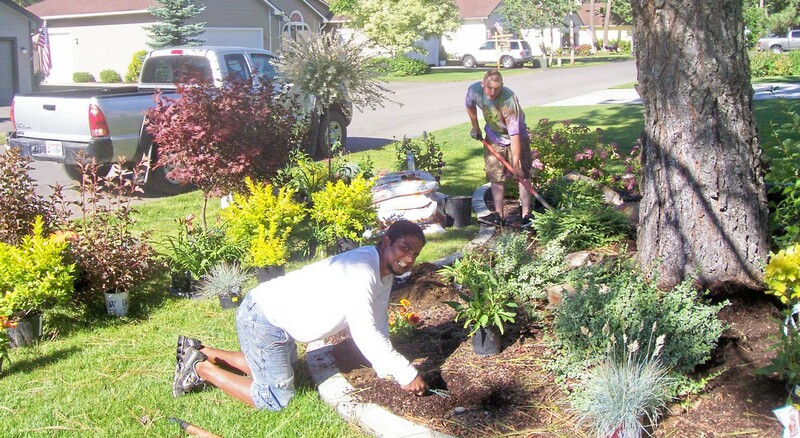 Let the friendly staff at Westwood Gardens help you make your Garden Dreams a reality! Free Landscape Design… Just bring in some photos and sketches of the area you want to work on to the Nursery! We will help you pick out plants that you can take home and plant yourself. Delivery and Planting available….Talk to us about a quote on either or both of these services we offer. Custom Planters made to Order… You can choose the plants or we will for you, and then pot them into a new container or one you bring in…ask us for a quote. Plant Rentals… We will rent Pots and Plants or Custom Pre-made Planters for your special occasion! Some lead time may be required, so inquire as soon as you are planning your event. Garden Coaching…We love to help! If you need for someone to come out and make a “Housecall” we can do it! We are available to come to your home or business and help! Call for a custom quote. Plant Return – Jodee, my wife and I came to your nursery at the end of May and bought 2 blackberry plant stubs for approximately $15 each. We were wondering if you take returns as we realize we really don’t have room for them in our small garden with all the tomato, pepper and blueberry plants we also purchased from your nursery! Of course you can bring them back!